Jacques Maritain was born in Paris on Nov. 18, 1882. Under the auspices of his mother, Mauritain's religious training was Protestant and his education rationalistic and humanitarian; his Catholic father played little part in these aspects of his upbringing. Maritain attended the Lycee Henri IV and the Sorbonne, where he devoted himself to studying modern thought in philosophy, literature, biology, and social questions. At the Sorbonne he met Raossa Oumansoff, a Jewish Russian emigre, whom he married in 1904. A highly creative person who later established a career and a reputation in her own right, working closely with her husband on several of his books and publishing a number of her own, she attended with Maritain the lectures of the famous philosopher Henri Bergson while both were university students, and for a time they were influenced by his thought. Shortly after their marriage the Maritains came under the influence of Leon Bloy, a tempestuous intellectual and ardent Roman Catholic. Disillusioned in their intense quest for knowledge by the alternatives offered by modern thought, they were converted to Catholicism and baptized in 1906. Their conversion became the vanguard of a return to Catholicism among some leading French intellectuals. After completing his work at the Sorbonne, Maritain studied biology for 2 years at the University of Heidelberg (1907-1908) under the distinguished biologist Hans Driesch. Upon his return to France he studied the philosophy of St. Thomas Aquinas, fulfilling an interest which had begun while he was in Heidelberg. Maritain found the fullest satisfaction of both the intellect and the soul in the thought of St. Thomas, with its harmonizing of revelation and reason and its holistic and realistic description of reality. At this time Maritain decided to dedicate his career to the communication of Thomistic ideas and their application to modern problems. While he was studying, he supported himself by editing a lexicon for a French publisher. From 1912 to 1914 Maritain taught philosophy at the College Stanislas. In 1914 he was appointed to the chair of the history of modern philosophy at the Institut Catholique, continuing also his teaching at the College. For his Introduction to Philosophy (1921) he was awarded the title doctor ad honorem by the Congregation of Studies in Rome. In the years that followed, Maritain was enormously productive as a teacher, lecturer, writer, reviewer, editor, and organizer of Thomistic study, as well as a political philosopher and champion of social justice. During World War II Maritain lived in the United States, his "second home," where he taught at Princeton, Columbia, and the University of Chicago. From 1945 to 1948 Maritain was French ambassador to the Vatican. He spent the remainder of his active career teaching at Princeton. After his retirement in 1953 he returned to Paris to live. He died on April 28, 1973, at the age of 90. He received many honors both from universities and from the Church. Of Maritain's many books perhaps the best-known and most significant are Art and Scholasticism (1920), the first of several works on art which constitute one of his major contributions; The Angelic Doctor (1929), a study of the life and thought of St. Thomas; The Degrees of Knowledge (1932), probably his single most important writing and the fullest statement of his philosophical position; Scholasticism and Politics (1940); Existence and the Existent (1947); The Person and the Common Good (1947); Man and the State (1951); and Moral Philosophy (1960). The Peasant of the Garonne (1968) is a sharply critical look at a number of trends in the Catholic Church since the Second Vatican Council. 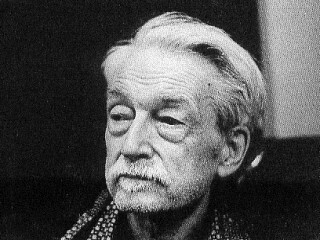 View the full website biography of Jacques Maritain (En. ).